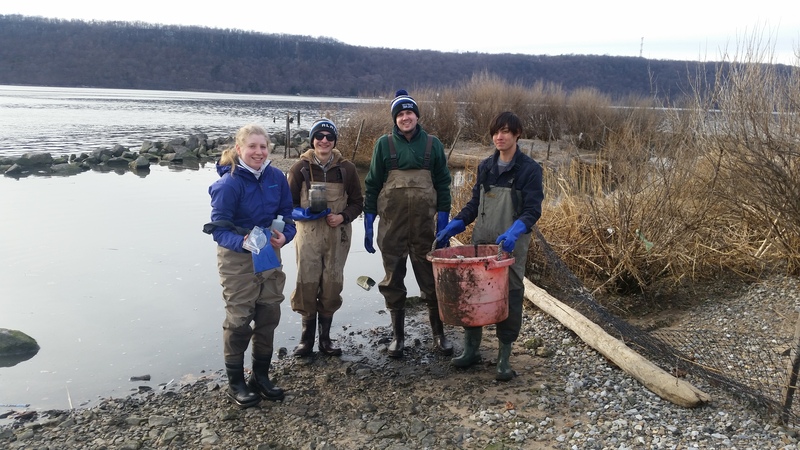 Staff and volunteers at the Center for the Urban River at Beczak are participating in a study sampling the Hudson River for American eels. 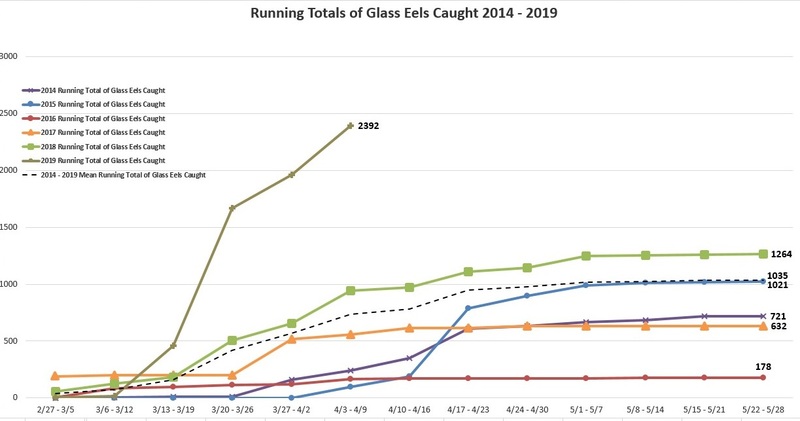 This citizen science research project sees volunteers up and down the Hudson River collecting data to track the migration patterns of glass eels. What is most unique about the American eel is their life cycle. Beginning in the Sargasso Sea south of Bermuda, the eels slowly mature while journeying across the Atlantic Ocean to the Eastern Seaboard. Once at the coast they then begin to move into waterways such as the Chesapeake Bay, Delaware Bay, and New York Harbor. 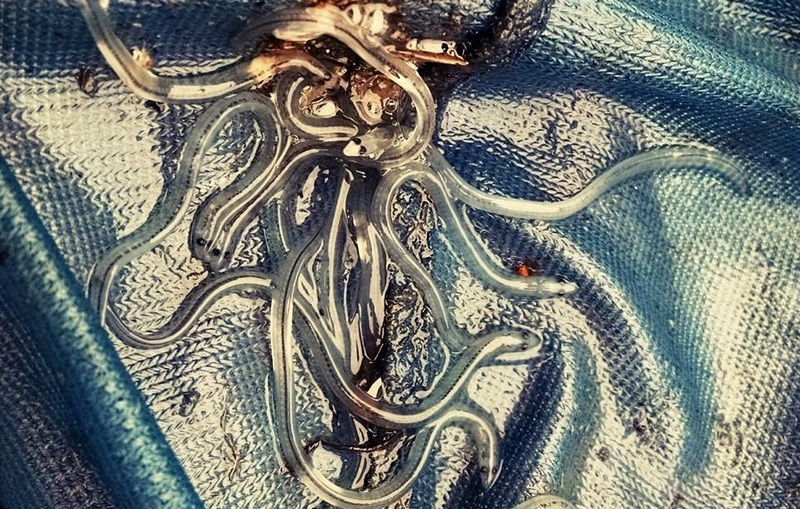 When the tiny eels reach these waters they are about a year old and have clear, see-through bodies. We refer to them as glass eels, and these are the focus of our data collection. In order to sample for the eels we use a cone-shaped Fyke net placed in our tidal marsh. Staff and volunteers check this net daily, counting the number glass eels and sending this data to the DEC. The results of our sampling is compared to other locations in order to get a snapshot of the American eel's migration patterns. The eels will spend most of their lives here in the Hudson River before eventually returning to the Sargasso Sea to give birth to a new generation of migrators. 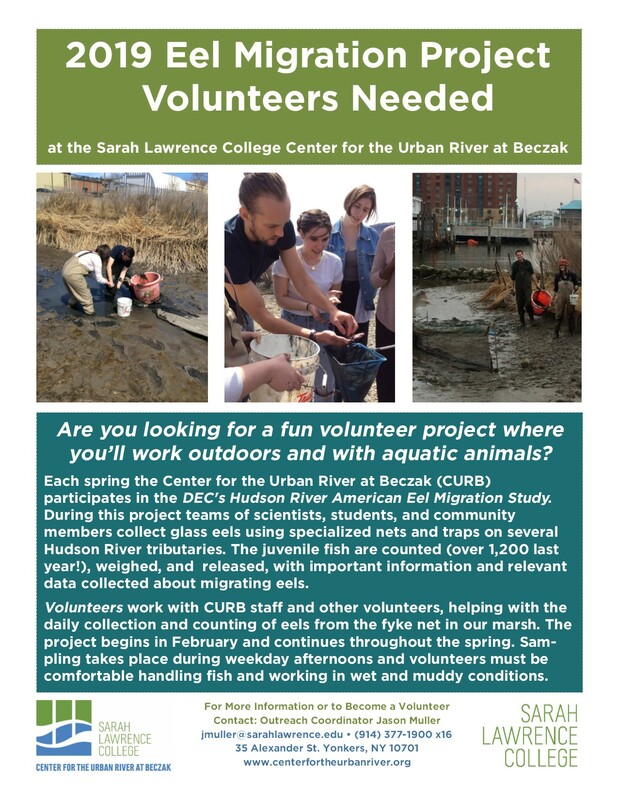 Volunteer for the 2019 American Eel Migration Study! Eel Sampling Featured on CBS 2!